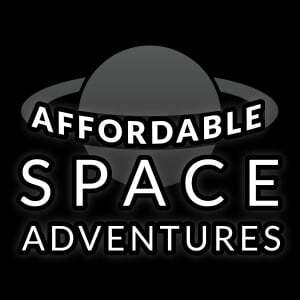 Affordable Space Adventures is one of relatively few Wii U eShop exclusives, and is unsurprisingly a particularly unique arrival on the store. 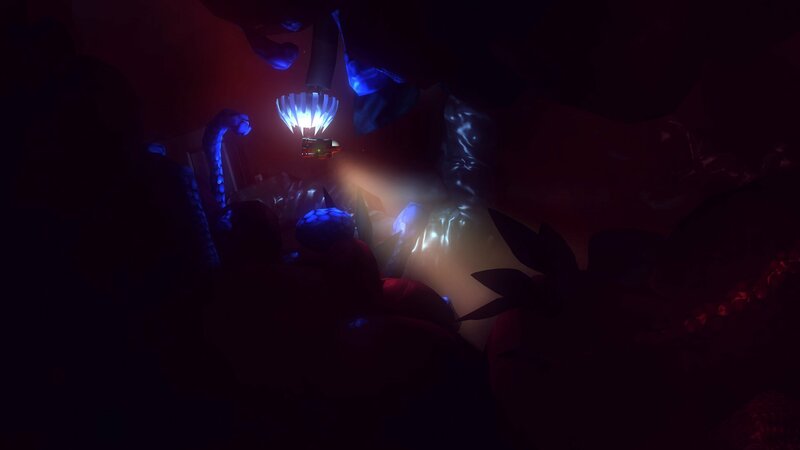 A collaboration between KnapNok Games and Nifflas, it brings a fusion of the former's expertise in user interfaces and control mechanics, and the latter's surrealist visual and puzzle design. Right off the launch pad it sets itself apart from many other experiences, making it an intriguing adventure to embark upon. The plot premise here is - like the collaboration itself - and interesting mix of humour, fear and mystery. The title represents the brand of a somewhat scruffy company that offers trips to a planet supposedly lush with exciting scenery and mystery; you're treated to instructional videos and manual pages that raise a smile. That humour is interlaced with the darker reality of your ship's situation, however, landing on the planet to discover multiple dangers and a low-fi ship that's barely functional and is only just capable of allowing you to progress. A key strength of Affordable Space Adventures is in this storytelling, which itself is mostly limited to environmental signposting and ambiguous hints. Without spoiling too much, early on you see wreckage of other visiting vessels, and through the many levels you see notable changes in environment; some are natural while still alien, others suggest relatively primitive but sizeable human-style technology, and in other areas there are mysterious objects that defy explanation. This is typical of Nifflas, in particular, and the evolution of environments and the journey you undertake are full of surprises that certainly drew us into the world. That tone is certainly important, yet moves beyond being a simplistic yet fascinating journey courtesy of the control mechanics in place. 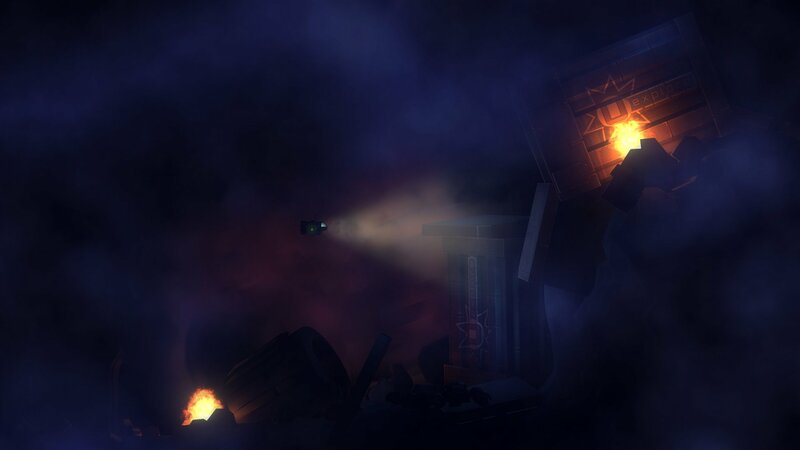 Playable in single player or for up to three co-operatively, you do not simply fly through levels solving remedial puzzles, but manage all key aspects of your ship. Utilising the GamePad - which is mandatory - the touch screen is host to all of your ship's system settings; these include choosing between a Fuel or Electric engine, managing thrust and a variety of other factors, right through to changing landing gears or opening and closing heat vents. To begin with single player, in this scenario you control everything yourself - the left and right sticks handle flying and your flashlight / scanner, with shoulder buttons for scanning and firing flares, while landing gears can also be managed with face buttons. You also manage the range of systems on the touch screen, so progress is a matter of careful progression, assessing options and managing the many inputs once a plan is in place. On most occasions you scan an enemy and assess its weaknesses - a simple example is that it may be averse to noise, so you use the electric engine - before formulating a route past it. You don't attack enemies at any point as you have no weapons, so it's a case of surviving on your wits to get through while solving environmental and conventional puzzles. The puzzle design across 38 levels is generally excellent, and in later stages in particular is clever and engaging. In some cases system management is simple but flight path is important, or puzzles are easy to execute but tough to figure out, while in other moments managing an engine and rapidly changing settings on the move is required. We've flung our ship - all power off - past menacing robots, or used the 'Sticky' landing grip to grab onto a bot and avoid deadly beams. as examples. There's a lot of clever design here. Importantly, and this should help the majority of players see the surprising ending, you can switch difficulty level as often as you want, even on a level-by-level basis. Technical is the tougher challenge that's worthwhile for those up to the task, yet Tourist takes the edge off some puzzles; the latter isn't ridiculously easy, but is useful for stages where the head-scratching becomes frustration. We've enjoyed single player a great with this title, but it's also pitched as a unique experience to play with others. Up to two others can join the GamePad player, with roles defined depending on the numbers taking part. 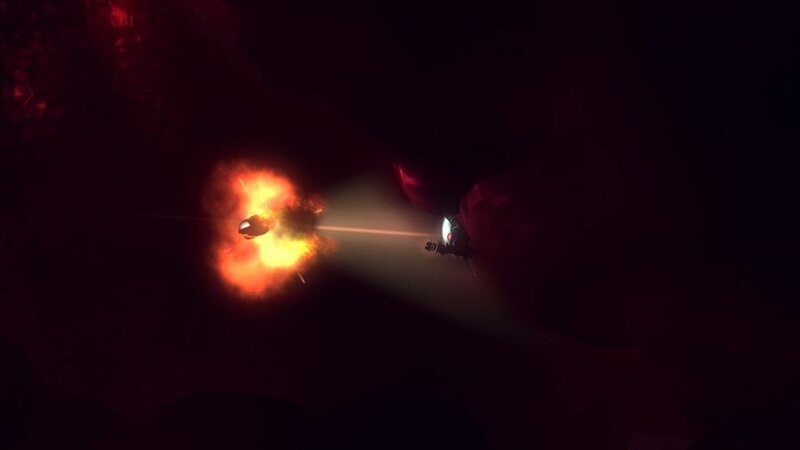 The Astronaut managed the eyes-down user interface on the touch screen, the pilot flies the ship, and the Navigator works the flashlight and scanner / flares; with two players the second player takes on flight and scanner duties. It's a simple but brilliant division of duties, as the nature of assessing and co-ordinating to solve puzzles naturally gets all concerned talking, and in our case demonstrably helped with some of the trickier puzzles. While it seems simple, the level of craft and precision in the control setup is admirable. 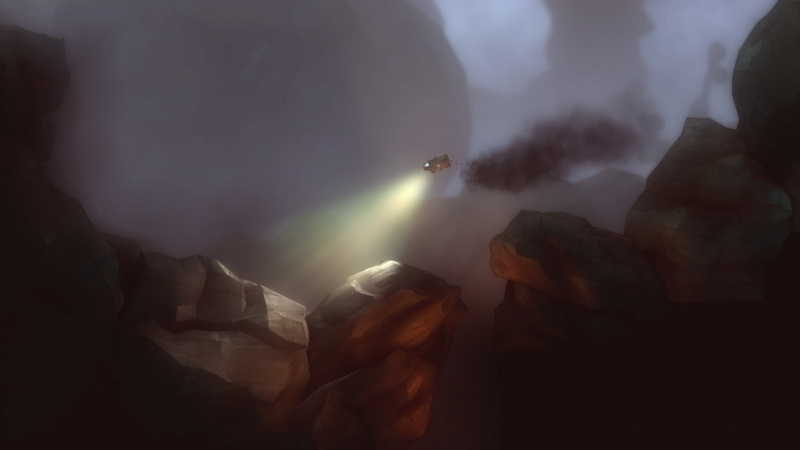 Both approaches - single or co-op - deliver a memorable experience in Affordable Space Adventures; we enjoyed playing on our own with headphones and a quiet space to really soak in the atmospherics, but also had fun tackling tricky sections with friends. While the experience is different each way, however, the levels and puzzles remain the same; that's both a strength and a weakness, especially for those concerned about replayability. There is some merit to revisiting levels on your own or in co-op depending on the approach first-time-around, but the issue of value should be addressed. Our run through of the campaign, about 95% of it on the Technical difficulty level and with a mix of single and multiplayer, lasted 5-6 hours. They were half a dozen high-quality, immersive and intriguing hours, yet for some there'll be a question over whether the premium price at launch - by eShop standards - justifies that. We'll say right from the off that we're supportive of any game maker that produces a quality product and seeks a fair price, and so the pricing here seems absolutely fair. There's not a significant amount of replayability beyond introducing it to more friends, though, so that will be a consideration for some. 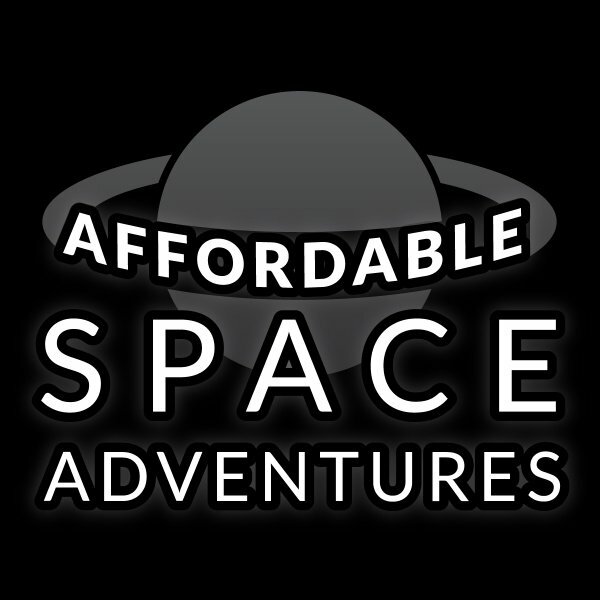 Affordable Space Adventures is, though, one of the eShop's top-tier games, and deserves immense credit for its approach to utilising the Wii U hardware's unique capabilities. There's devotion and care from both development studios, too, with small touches evident throughout; attractive, stylised visuals and art design, a brilliantly moody and diverse soundtrack, and tightly honed controls. Only occasionally did we feel a self-contained puzzle didn't quite hit the heights, but in most cases we were thoroughly impressed. 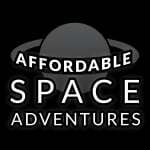 Affordable Space Adventures is a unique game that can only conceivably work this well on the Wii U, though the 3DS could be a decent alternative in future. It not only utilises the GamePad, but makes it integral to the experience, while tackling it solo or with others is equally rewarding. There's evident devotion to small details and quality from the developers, and though it's over relatively soon we wouldn't have missed this adventure for the world. There's nothing else quite like this out there, and it's certainly a trip worth taking. I've been waiting for this one for ages. Finally a reason to turn the system on again. So exited for this! Buying it as soon as it comes out! Great review! Wish I could find a decent video review somewhere to show my children, that's the real reason I want this, multiplayer with my children. I love Mario Party 10, but let me have some fun exploring something. Thanks KnapNok games. Want this soo much, and nice to hear it really delivers. Especially in co-op. Day one purchases without a doubt! I've been keeping my eye on this. I think I'll put $50 on my eShop account and buy this. If it's a quality game 20 bucks isn't a bad price. I have quite a few games that were 60 bucks that I haven't finished yet because they are not good enough to hold my interest. Looking forward to this, once I finish some of what I'm already playing and the other reviews check out. Ready to go on day one!!! Was waiting for your review but now I'm sold. Better to experience 6 hours of awesome gameplay than 20 hours of okay gameplay. Am I right, people? You need to re-evaluate your spending habits. I am really looking forward to this game. However, like the reviewer noted, $20 for a 5 hour campaign is a bit high. I am a firm believer in quality over quantity, but my huge backlog allows me to be more patient on a good new release. Best wishes a the success of this title. It appears a lot of love went into it. I've been excited about this one, but I think I'll wait for the inevitable price drop/sale price. @grumblebuzzz You and me both. If I had nothing or not much to play I would probably get it day one but these days I buy games and they sit there for months and sometimes years before I get to them. Like some others here I'll wait for a price drop. I may cave before that though just to support the dev willing to make their game exclusive to the eshop and actually come up with a creative use for the gamepad. I'm putting my money where my mouth has been. I've asked for unique uses of the gamepad. I've asked for third parties to take the WiiU seriously. This game is what I've been asking for, it's my turn to do what I said I'd do - pay for it! Absolutely NOT waiting for a price drop! Take my money, you've earned it and deserve it! I have a feeling this could be one of my favorite games ever. Gameplay that uses the game pad so well has so much potential... it can make the gameplay art. Statistically, demos have been shown not to help games garner sales. In fact, it seems that demos are actually detrimental to game sales. You can wait until it's on sale, but keep in mind, every time you do this, you are telling a developer to take their games to a different platform. The reason 3rd parties abandoned the Wii U and 3DS is due to them not getting sales from the audience here. Eh jeez, I'm gonna have to wait for a 5$ discount for this game. This game looks great but It's gonna have to wait. If other Nintendo fans had your attitude, there'd be stronger 3rd party support--and we'd have a Zombi U2 on the horizon. Want to wait for a sale, but I think it's much more important to support this title at release because it's the type of work that the game industry really needs. @Reviewers: how much does upgrading your ship come into this? I was hoping for more of an open-adventure game, which you collect credits/upgrade/explore, rather than a pure puzzler. Day one. Although it may end up in backlog with Tipping Stars, Rainbow Curse, Captain Toad, Mario Party, Resident Evil Revelations 2, Borderlands Collection, Final Fantasy Type 0, FFXV Episode Duscae, Ori and the Blind Forest, Zelda Majoras Mask and Code Name STEAM. Come on people, its a Wii U exclusive, it uses the Gamepad well, step up. If you really want such things you need to support them when they come along. @Spoony_Tech same boat here man, too many games/not enough time. I can't relate to some of the comments above about no games on Wii u I've still got loads to play! @cyrus_zuo I will say you have a nice post and it is true but I'm getting just this week Xenoblade Chronicles 3d and Etrian Mystery Dungeon. There's 80$ plus tax there. Not to mention I just spent like 300$ plus to upgrade to the New 3ds along with Monster Hunter 4 and Majora's Mask. That's not including other games from the Eshop I've bought since then. Oh and 2 copies of Code Name Steam. People are complaIning of lack of games but I just don't see it. Not to mention I'll be spending about another 150$ in the next few month on other various games. For me a sale just makes more sense for a game I won't be playing for a while anyways. Nifflas has had me in his grip ever since the first time I played NightSky. Knytt Underground was the first game I downloaded on my Wii U and I'll be getting this as soon as the eShop updates on Thursday. Good times. @Cathousemaster The ship's capabilities are scripted, so you receive upgrades at set points when you progress. @JaxonH Off topic but thanks for the recommendation on DKC:TF. Played it this weekend and it's terrific. I'll get this immediately when it arrives on Thursday! Glad you're enjoying it! Love it when people discover the brilliance of that game. I'll be getting this. 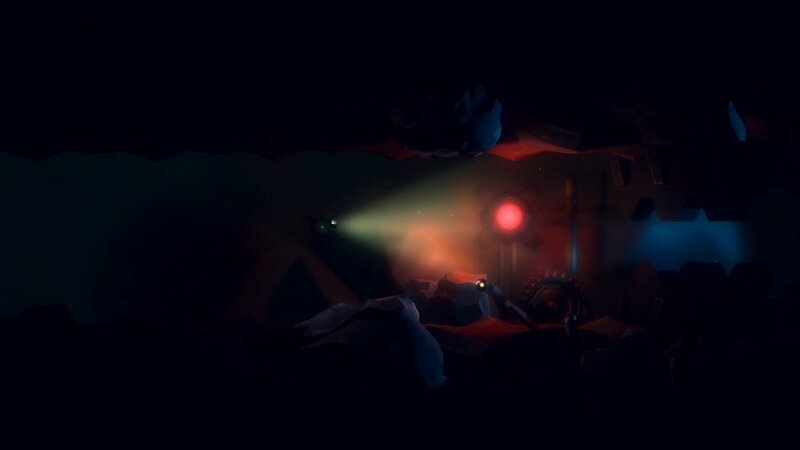 Love the idea of lonely deep-space exploration using the gamepad. Though it looks like a great game for that price I have to consider if that money is better used towards other games I have been wanting which offer more bang for your buck. I know I am a bit stingy when it comes to money but I am not sure I would buy it even if it was half off, even though I love the look of the game. I'm glad this is on Wii U, and not 3DS. I like games in HD and on a larger screen. That aside, I'll be getting it this week when it drops in NA, I've been "putting my money where my mouth is" since Wii U's launch when it comes to indies and third-party games and apparently I'm one of the few that has. I don't get a cookie though, because I like Nintendo too much for some people around here. I´m sold now. Will support and enjoy it at the fullest. Buying it on Thursday, even if I won't play it until I'm finished with Alien: Isolation and Resogun's higher difficulties. Definitely want to support these guys. I actually what this game is trying to achieve, but I always enjoy space faring exploration based games so this one is a no brainer for me. I'll still be waiting on a price drop, no matter how long it takes. Can't wait, my wife and I will have a great time with this. @Quorthon Zombie u2? I would love to play with undead Bono! I have been waiting and saving for this since I first heard about it, like it or dislike it, this is what the WII U Game Pad is all about, your very own ship interface! You don't actually fight the enemies?! Well, that's boring, and the art direction would be a lot more impressive if there was a decent amount of light with which to see it. I'll definitely pass. Demos hurt game sales? Uh yeah right. Nice review and nice score, but will wait for a price-cut. I don't know if that's true or not. But the man presented data and said that's what the data shows, you don't have to take it on faith or his/hers mystical powers. His article is actually about demos achieving sales yours really has little to do with that and is only applicable to one game. Hardly scientific or data driven, almost anecdotal actually. @cantbedevin64 One anecdote deserves another. The OP is hardly scientific. True, but I really was originally surprised by how unbelievable you thought it was that demos don't help sales. To me it makes perfect sense seeing as how most games don't live up to the hype and I could see a lot of ppl trying a bite-sized portion of a game and mistakenly deeming it unworthy. @cantbedevin64 Very good point. My only issue is they are using Xbox 360 numbers including AAA games that generally don't have them. I'm a big fan of demos and wish more companies used them. I've gotten burned by the hype machine and it has soured me on certain studios. I suppose in the end it's just like any other marketing tool and is only as effective as the PR group using them. I think you've hit the nail on the head with the marketing tool comment. Everything is about PR and has been for years. Honestly why wait for a discount/price-cut for a quality game? I will be getting this at full price. Get this game, it is awesome! I love the control scheme and the art style.It is well worth the price! I can't rember the last time that a game grabbed me like this one. I played 2 nights in a row and it I just could not put it down. I had to see the end. Totally satisfied with this. Worth the asking price. This game is fun! I regrettably had to wait for the humble bundle to get it, but for anyone wondering if it's worth full price, I say yes! I had a lot of fun with it, the puzzles are all a work of genius during the Technical adventure mode. I played single player, and almost gave up on a couple of puzzles, but in the end I figured it all out without a guide. The way the game eases you into learning how to control the ship is perfectly paced, not to mention you routinely encounter situations that force the player to work out quirky ways to use the controls to avoid enemies or withstand the environment. Landing gear even factors into it a lot - the gamepad IS your instrument panel; it's highly immersive by design and so well done. It's a physics puzzler mixed with space travel, with good old fashioned adventure forming the foundation of it all. The miiverse part is worth having the internet function turned on, heh.